Stationed: Southern Philippines / Infantry & Cook. He received the Victory Medal, Good Conduct Medal, Philippine Liberation Ribbon w/1 Bronze, Battle Star, Asiatic Pacific Theater Ribbon w/1 Bronze Battle Star, and the Overseas Service Bar. A family story told by this Veteran to his daughter: One holiday the troops were promised chicken. When Arthur started to prepare the chicken he discovered it was so rotten it fell off the bone when picked up. The Commanding Officer insisted it be cooked. Arthur warned everyone he could, not to eat the chicken including his own brother Irvan. Needless to say everyone who ate the chicken got sick, including Irvan. Arthur would never eat chicken after that day. 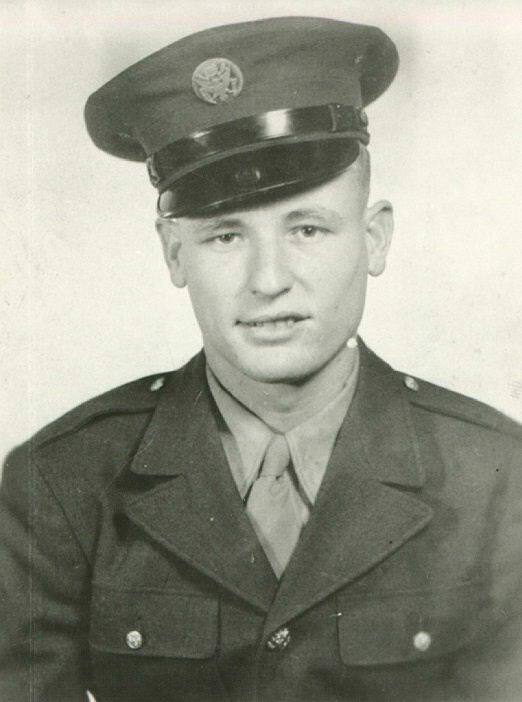 We thank the family for submitting information and photo and this Veteran for his service.